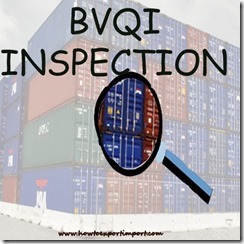 What is BVQI in international inspection of export goods? How does BVQI work? BVQI means Bureau VERITAS Quality Inspection. 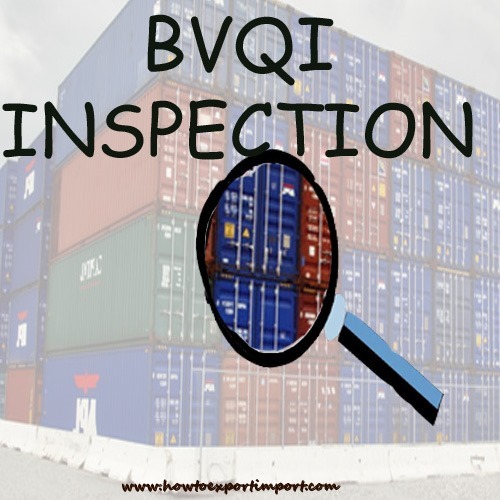 BVQI is an international inspection agency works all over the world in the field of improving quality and productivity, reducing risk, verifying compliance and increasing speed to market. Some of the foreign buyers require the suppliers to get the inspection done by BVQI with certificate of approval. This type of inspection helps buyers to make sure about the quality of goods as per his required parameters. While placing purchase order, the buyer provides the complete specification of goods and the inspection agency like BVQI has to satisfy the quality as per buyer’s requirements. Once after completion of satisfied inspection by meeting all required specification as per buyers requirements, the BVQI issues a certificate on inspection. This certificate has to be enclosed along with other shipping documents to buyer. BVQI charges their expenses on inspection. These charges are paid either by the exporter or importer as agreed at the time of contract. The advantages for supplier is that he makes sure on the quality of goods exported and the reliability and business relationship strengthens between buyer and seller. Do you have more information to add about BVQI inspection agency? Share your experience below about functions of BVQI in international trade of imports and exports. Comment below your thoughts about BVQI in International business.